We all know about Paris and Amsterdam, but what about those cities that manage to fly under the radar of most tourists? Case in point: Stockholm. Perched in the southern region of Sweden and scattered across 14 islands, Stockholm is the capital city that’s totally awesome for a relaxing weekend trip away. Besides gaining worldwide fame for being the birthplace of the Nobel Prize and IKEA, Stockholm is also considered to be one of the cleanest, greenest and most innovative cities in the world. If you only have a long weekend to spare for your next trip, and seek experiences rather than sights, then Stockholm and this little guide right here are exactly what you’re looking for! From the airport to the city center: Arlanda Express. It is really easy to get to the center of Stockholm, with the Arlanda Express departing from the Arrivals Terminal itself and reaching Stockholm Central Station in 20 minutes, every 15 minutes. From Stockholm Central Station you can take the subway to basically anywhere you want. Cost: SEK 295 ($33) for adults, free for under 18 years old. Check for special prices on the official website, as there are usually many deals available. For example, if you buy the ticket online in advance, you will get a 40% discount. Around the city: Trams, Buses, and the T-Bana. Stockholm’s public transport network is labeled as “SL” and covers all the main points of interest. You can purchase tickets for a single ride (SEK 44, $4,8) or you can purchase a 24-hour pass (SEK 125, $13,8) or a 72-hour pass (SEK 250, $27,6). For this guide, the latter is definitely more convenient. For further info, visit the SL website. 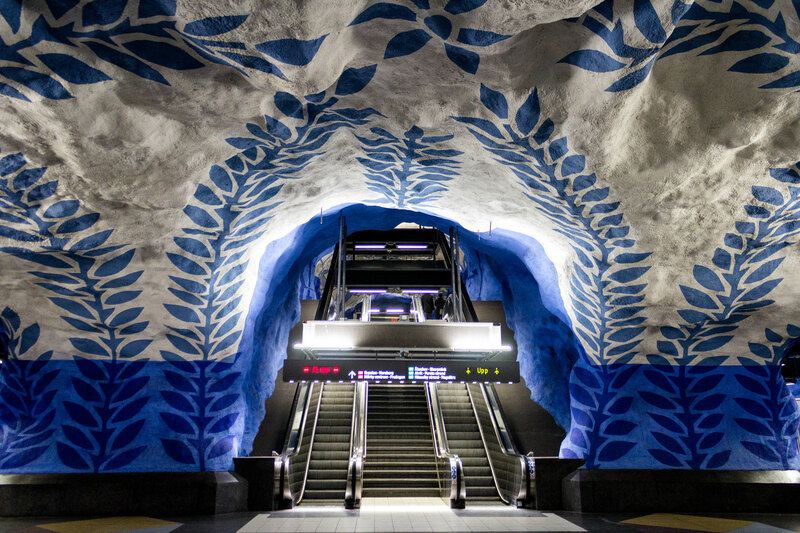 Fun fact: In Stockholm, the subway is not your usual dark and dirty tunnel. The T-bana (or T-banana as my auto-corrector prefers to call it) is pretty much a museum in some sections, with art works covering every available surface. My favorite stations were Solna Centrum and T-Centralen. 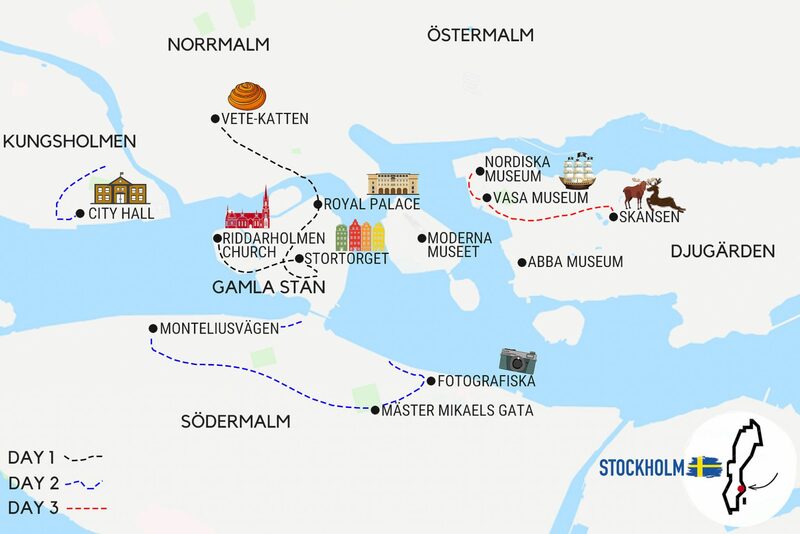 You can also take the Ferry from Gamla Stan to Djurgården and Skeppsholmen. You can purchase a single ticket at the quay or use your SL card. I stayed at the very reasonable-priced Hotel Birger Jarl. The room was small but it was cozy enough and close to the subway. Airbnb is also very good option to look for apartments that are well located and feel more ‘local’. Now let’s get into the juicy details! Spend your first hours in Stockholm exploring Gamla Stan cute little street! My personal favorites were Prästgatan, Mårten Trotzigs Gränd, and Västerlanggåtan. Of course, you cannot possibly miss Stortorget to get that iconic shot of the number 18 and number 22 buildings. Founded in the early 13th century and having changed very little since, Gamla Stan is one of the best-preserved medieval districts in Europe. If you want to grab a bite around the area, I highly suggest the Ebenist, Le Rouge and Mister French. 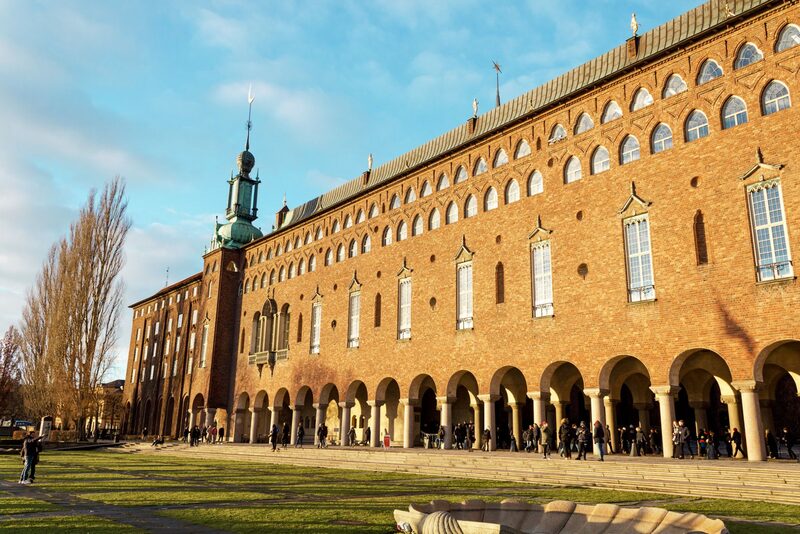 Located right in the middle of Stortorget, the Nobel Museum is definitely a must-visit. As you may imagine, the museum is dedicated to Nobel prize winners and prize founder, Alfred Nobel. As well as learning about the prize’s history, you can also check numerous exhibitions about both current winners and their inventions. It’s rather small and definitely not time-consuming, but still very very impressive. Located on the east bank of Gamla Stan, the Royal Palace is the official residence of the Swedish royal family. This huge palace is home to five different museums and showcases a ton of artwork, Royal antiquities and garments. Opening Hours: Open Tue-Sun from 10 am to 4 pm from October to April and it’s open daily from 10 am to 5 pm from May to September. To gain back your strength after a long an exciting day of sightseeing, treat yourself with some Fika time. Wait, treat myself with a whatnow? Don’t worry, it’s not a dirty word (wink wink to my Italian readers!). Fika – pronounced feeka – literally translates from Swedish to ‘taking a break for coffee and a sweet bite to eat’. I mean, like, what an amazing concept. Swedish do are the most genius people in Europe, am I right? But it’s not only about stuffing your face with cake. It is also, and most importantly, about taking a break from your stressful workday to appreciate life and indulge in much needed real conversation with your buddies. I really got into the stuffing-the-face-with-cake part though. 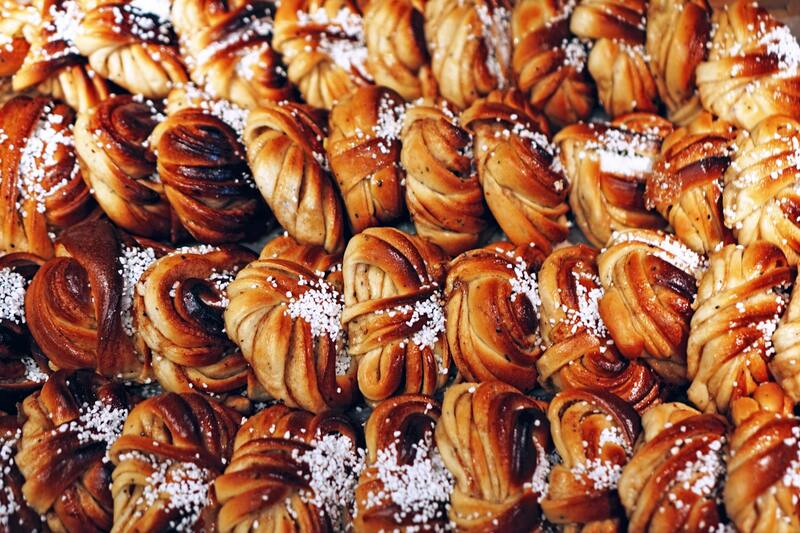 The traditional sweet of choice is usually a baked kanelbullar – a twisted cinnamon bun sprinkled with sugar. IT IS SOOO GOOD. OH MY GOD. SO GOOD. Located on a quiet residential corner, Café Pascal is a fabulous spot for Fika, and I particularly loved the buns at Vete-Katten, founded in 1928. Stockholm’s largest island and former working-class district, Södermalm is nowadays the official hipster neighborhood and it’s filled with vintage stores, hip art galleries and nice little restaurants. You may have actually heard of it, as this is the place where most of the Millennium Trilogy by Stieg Larsson took place. For a coffee and a quick bite, head to the popular Drop Coffee. Besides walking around and taking hundreds of Insta-stops, I highly suggest a visit to Fotografiska, a renewed art center that features exhibitions by very talented photographers. 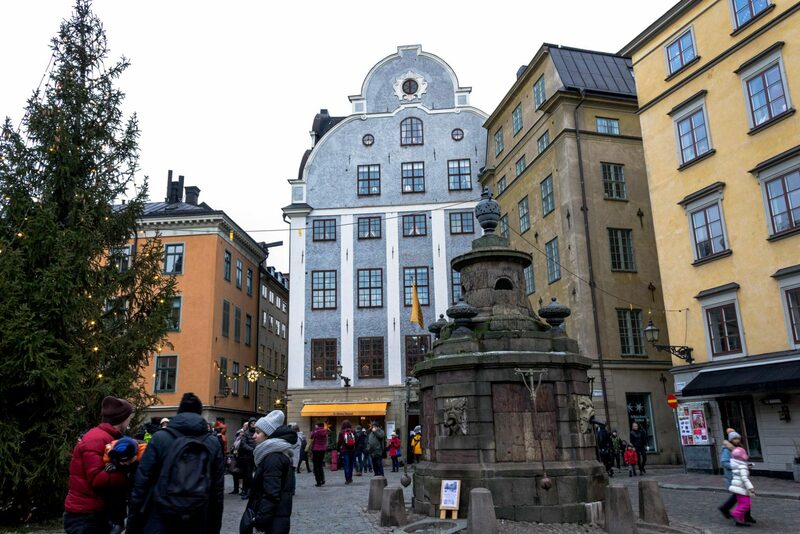 After lunch, check out the Kungsholmen district and stop for a quick visit of the City Hall, one of the most important municipal buildings of the city. 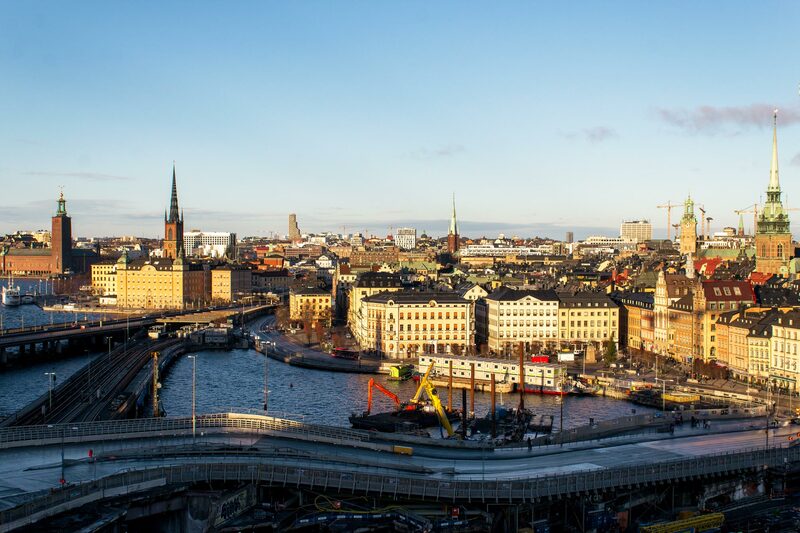 If you’re visiting Stockholm in the summer, make sure to check the top of the tower where you’ll get an amazing view of the city. Opening Hours: City Hall can only be visited on a tour. Tours last approximately 50 minutes and are available from 10 am to 3 pm. Djurgarden is basically Stockholm’s island museum – it reminded me of Berlin’s Museumsinsel, but way bigger. There’s also an amusement park, and as the name suggests, an amazing city park. Skansen, the worldwide famous open-air museum that perfectly reproduces the 19th century Swedish life. You can literally take a step back in time and visit Swedish historic buildings, chat with the talented performers, learn how people lived in earlier times and check live demonstrations of their traditional activities such as spinning and weaving. Opening Hours: Skansen is open every day, but the opening hours varies each month. Check Skansen official website for up-to-date info. The Vasa museum. 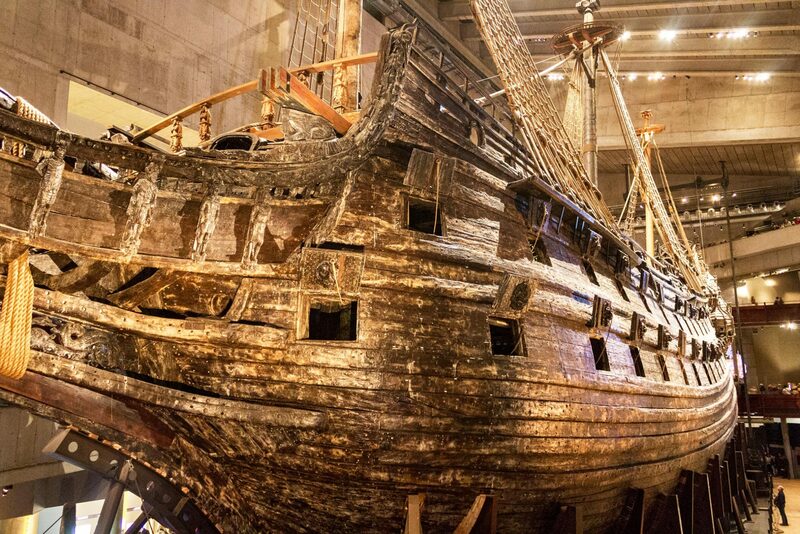 The Vasa (or Wasa) is the only preserved seventeenth-century ship in the world. It was supposed to be one of the largest warships of its time, but unfortunately it sank, just one thousand meters into its inaugural voyage. In 1956 the ship was rediscovered and then salvaged. Opening Hours: June 1 to August 31: 8:30 am – 6:00 pm; September 1 to May 31: 10:00 am to 5:00 pm. Drottningholm Palace. The Drottningholm Palace is the private residence of the royal family. You can reach this place by boat, and a round trip ticket will cost you 210 SEK ($24). The admission to the palace costs 110 SEK ($12). Nordiska Museet If you are into in traditional craft, costumes and decor, add this is museum to your itinerary. Moderna Museet. If you love contemporary art, you cannot miss the Moderna Museet. You can admire some fabulous collections from the 20th century, including works by Dali, Bacon, Pollock, De Chirico and Picasso. ABBA Museum. If that’s your cup of tea, visit this quirky museum dedicated to one of the most famous pop bands the world has ever known. Home décor window-shopping. Swedish design has clearly made its mark and is considered to be some of the most elegant in the world. You’ll find plenty of galleries and exhibitions in the city that exemplify this. If you want pleasant weather and reasonable prices, visit Stockholm during June or September. July and August are also ideal in terms of weather but the cost for accommodation will definitely be higher. Winter is also an option – in fact, I visited Stockholm in January! Yes, it is super fudging cold, the city is usually covered in snow and the daylight hours get shorter, but you’ll also find beautiful landscapes and a unique laid-back vibe. SHOULD YOU BUY THE STOCKHOLM PASS? The Stockholm Pass is a pre-purchased “discount pass” that gives admission to loads of the city’s best attractions. The aim is, of course, to save tourists money, but the question is: should you bother buying one? If you follow this 3-day itinerary, the pass is not worth it. For 72 hours, the pass costs 959 SEK (check the official website for up-to-date prices) and does not cover City Hall (+120SEK). Buying single tickets will cost 835 SEK, with a saving of 27$ with respect to the Stockholm Pass. Well, I hope you found this little guide useful. Now go and Fika!